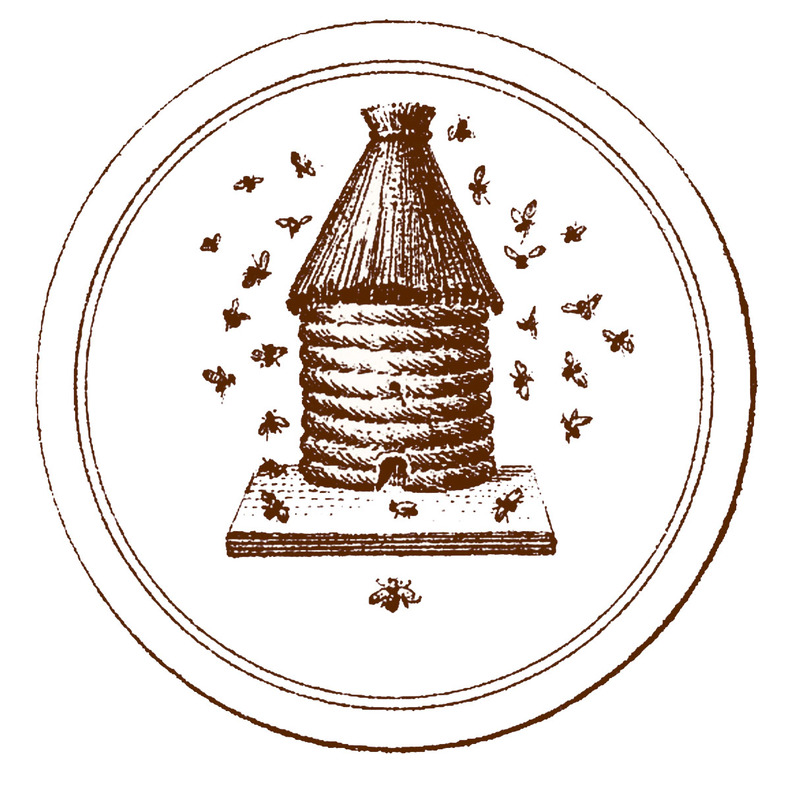 This cute French Beehive graphic, is from an antique French Document! The original was quite tiny so I enlarged it a bit to make it more useful. I just love the tiny Bees swarming around it! 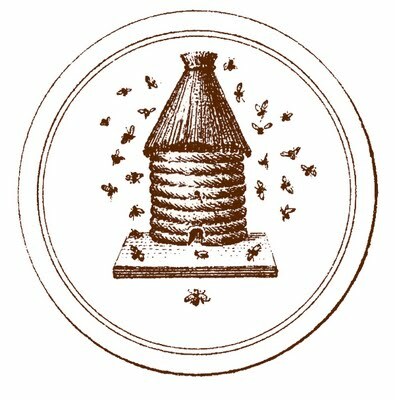 This would make a cute label, especially if you make your own Honey, or Honey related products like Soap, with Honey in it etc. Happy Mother’s Day! And thank you for this perfect bee family graphic. thank you for the vintage graphics! Thanks so much for the beehive graphics, I adore them! Anita, I forgot to wish everyone a Happy Mother’s day on my post!! I did this post early this morning and set it to post later in the day, I was at my shop working all morning actually. I think I pretty much work every holiday, and every day too for that matter, thankfully I like what I do so it doesn’t feel like work most days! 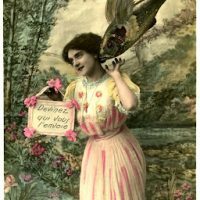 Thank so much – Happy Mother’s Day! Thank you for all of the graphics you post but this one is perfect for a quilt label I need to make this week. The quilt was made by the folks in my Monday quiltbee! Fabulous! Thank you!!!! Hope your Mother’s Day was happy, happy! Lovely!!! Thanks so much. Thank you too for giving us the image in different colors. Awesome bee graphic. THanks, Karen! Thank you for the beautiful bee images. I plan on using for a great activity for my son. I am going to printing all three – on different colored paper. Color the frames so that I have 6 sets of these. 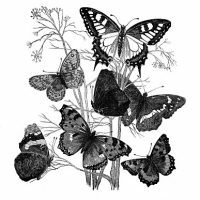 We will play a form of concentration or memory match with them… then I printed two copies of the bee coloring page that you recently posted from a vintage coloring book. I will have him paint one and color one with either markers or colored pencils. We will take a walk and look for bees and I will talk about the feature function class of a bee *verbal behavior therapy for autism…. we will have such a wonderful day learning about bees! Thank you for the best educative materials – it is hard when he is 18 – to still teach him and not make things look preschool – like. I want him to have a sense of dignity while he is still learning – it is my biggest challenge …. Thank you! Wow, what an amazing Mom/Teacher you are! It warms my heart to know that you are able to use some of my graphics for his education. (I am the Mom of a 21 year old Aspie son.) I’ll be sure and post more from that Coloring Book, it’s quite large and filled with all kinds of wonderful pictures!